Welcome to the shipping method page. You can find all the information about the shipping and deliver of your order here. Per Sempre Toys has a warehouse where they keep most of their stock. We do this because we believe that reliability and delivery time important is for our customers. For certain items such as playhouses, we ask suppliers if they can send the orders straight to the customers. Each products says how long it would normally take to deliver, please take this into consideration. Once we have received your payment we will send your order. If an order has been paid and received by 2pm on a business day, it will be shipped on the same day and will be delivered the next even on Saturdays. Packages that are heavier than 31.5kg usually won’t be delivered on Saturday. We charge a flat rate for The Netherlands, Germany and Belgium which is € 6,95. You can of course deliver it to other countries in Europe. At the checkout you select the checkbox that says different delivery address and then you type in a different address. Below is a list of countires that we ship to. We try to organise the delivery with DPD because they offer the most flexible service. Parcels up to 20kg can be delivered to a DPD Parcelshop near you. Parcels that weigh more than 31.5kg cannot go to the DPD Parcelshop. You can choose a delivery address. If you choose a destination and all the DPD delivery options disappear, it means that you have chosen a country where we do not work with DPD. Parcels heavier than 31.5kg are delivered by the DPD business network. This service does have limitations. Parcels are delivered on Saturdays in The Netherlands but not in Belgium. For example; the dimentions of dollhouses can sometimjes not be delivered by DPD so it will be delivered by another courier. Personalised orders are delivered by FedEx or UPS. When you fill out your mobile number, we only send it through to DPD so they can send you a text message to let you know approximately what time the order will be delivered. You will get an insight to when your order will be delivered which gives you the chance to change the delivery date. If you do not have a mobile number, DPD can let you know when your order will approximately arrive via email. When creating the DPD or DHL shipping label, the shipping number (tracking information) is created. This shipping number will be sent to your email by the courier. With the shipping number, you can track your order on the website on the courier.Normally you would get a message to say that your order has been sent on the day. Sometimes the courier changes the shipping number. Unfortunately you cannot use the number that we have sent to you to track your order if that happens. Please contact us and we will find out your new shipping number. You will receive an SMS or email on the day that your order will be delivered by DPD. If that day doesn’t suit you, then you can change it to a date in the following 6 working days. On the day of delivery, DPD will send you another message. You will then we notified what time your order will be delivered. You can plan your delivery so you don’t have to wait around all day for your order. You can rely on us that when your order has been shipped it will arrive the following working day. If you are not home it is not a problem. Give DPD the delivery instructions via www.nieuwelevering.nl. If you are not home and the DPD driver has left behind a notification, it will say that they will try again the following working day. If you are not home the next working day they will leave behind another notification, you will need that to pick up your order from your nearest DPD depot. 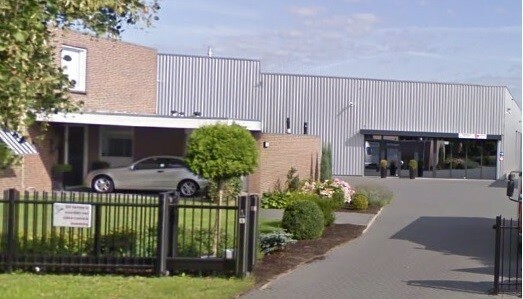 (http://www.dhl.nl/nl/express/verzenden/dhl_vestiging_vinden.html) (Pay attention: these depots may be far away from your home so it is important to schedule the delivery to a time when you are home. This is not always easy but because the heavier packages must use the DHL shipping method. If you do not want your order right away you can contact us so we can hold it back and send it another day that suits you. When you are booking your order you will see an extra field to type in. You can use this space to write an instruction such as ‘if there is no reply please drop parcel off by the neighbours’. DPD will try their best to do this for you. Naturally within reason. DHL will only deliver your order to the address that you filled out. If you are not home but left a note with the instructions ‘drop off at the neighbours’ on the front door it will most likely be ignored and the parcel will be taken back with DHL. If you would like your order immediately, you may also pick it up. You will also save on shipping costs. You can also pick-up your order after office hours or on the weekend. Call us on: 06 27 536 006 or send an email to info@persempretoys.nl to make an appointment to pick-up your order. Per Sempre Toys has most of its stock such as Win Green and KidKraft in the warehouse. Sometimes your order may not yet be in the warehouse so we can offer you an alternative. You can pick-up Win Green and KidKraft (and other products) when you book an appointment. You can also order a cash on delivery from per Sempre Toys. There are extra costs if you chose this payment method. Please contact us to organise a cash on delivery. There is sometimes a surcharge for remote areas. If there is, we will inform you immediately after we receive your order. You can then choose to cancel your order. When you go to the checkout and choose the country that your order will be shipped to it will automatically update your shipping costs. (Not taking into account the payments for remote areas). When you unpack the box, do not use a stanley knife as you may damage the product inside. If you receive a damaged product, please look over it with the courier and then contact us via email or a written letter within 24 hours. You can send an email to info@persempretoys.nl. We will figure out a solution to the problem. If you decide to return your order, you must send it back in the original condition in the original packaging. We do not take back orders that are damaged and not in the original packaging. We also do not take back personalised orders. You have to pay for the return but we are happy to help with it.